Stanley Metal Body Surform Planer file STA521122The surform planer file is suitable for use on all types of wood, aluminium, copper, plastics, and laminates. 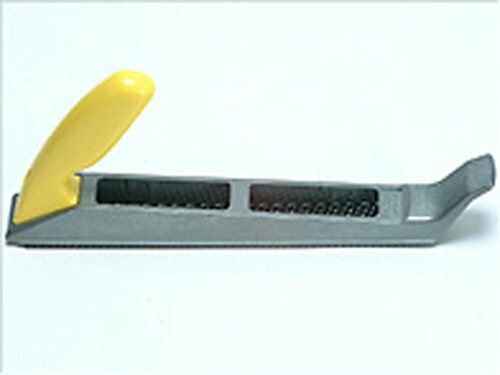 It is a highly adaptable tool and the tough polypropylene handle can be set in two positions to enable use as either a plane or file. It has a painted die-cast alloy body, and is fitted with 250mm (10in) standard cut blade.